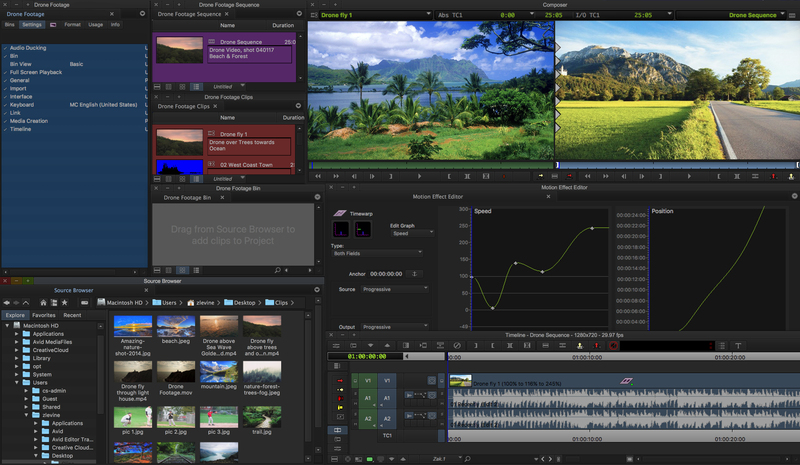 LAS VEGAS — During its NAB-prelude Avid Connect event April 6, Avid announced new partnerships and updates to its flagship video editing system Media Composer. First, Avid announced the launch of Avid NEXIS Cloudspaces, a SaaS storage offering, using Microsoft Azure, to give news, sports, and post-production teams a simple way to store media in the cloud. Avid NEXIS Cloudspaces allows Avid NEXIS users to sync on-premise Avid NEXIS workspaces to the cloud using common media management tools, while eliminating the time associated with shuttling media on local storage. Additionally, media workflow solutions firm BeBop Technology announced that Avid’s MediaCentral and Media Composer services will be the first fully bundled software solutions offered via BeBop, enabling Avid licenses to be obtained directly on BeBop’s platform, vs. the “bring your own license” model BeBop offers for comparable tools. Avid also announced a “redesigned and reimagined” Media Composer service, providing new finishing and delivery workflows, customizable toolsets and an upgraded media engine that supports more video and audio streams.